According to PT Adhi Karya (Persero) Tbk Financial Report 2016 as cited by JobsCDC.com, during the year 2016 the growth of Adhi Persada Beton remains solid. Adhi Persada Beton reported total assets of Rp 473.97 billlion in 2016. This total assets figures significantly rise 23.42% better than 2014 period (Rp 384.00 billion). 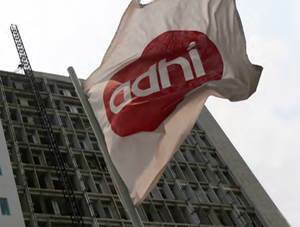 Referrring to its financial report, Adhi Persada Beton booked total revenue of Rp 1,332.83 billion in 2016 as compared with Rp 149.01 billion in the previous year. Background in Diploma and Bachelor Degree or equivalent (D3/D4/S1), majoring in Civil Engineering, Electrical Engineering, Mechanical Engineering, Industrial Engineering and K3. Have a good health and not color blind. Operating knowledge of Computer and internet application. Willing to be placed in all working unit of Adhi Persada Beton. Able to build internal and external networking. Have good attitude, visionary, integrity and loyalty. Able to plan, execute, control and evaluate daily targets. Have a similar field experience is preferred. Concern for QHSE implementation and control. JobsCDC.com now available on android device. Download now on Google Play here. Please be aware of recruitment fraud. The entire stage of this selection process is free of charge. PT Adhi Persada Beton - Fresh Graduate Development Program Adhi Karya Group July 2017 will never ask for fees or upfront payments for any purposes during the recruitment process such as transportation and accommodation.